November 30, 2010  Unofficial results from Egypt's elections Sunday show the ruling party crushed the opposition in polls marred by allegations of voter intimidation and fraud. Protests erupted after the voting, and opposition candidates are threatening to withdraw from the runoff vote. November 26, 2010  The president is not on Sunday's ballot in Egypt -- it is a vote to choose a new parliament. 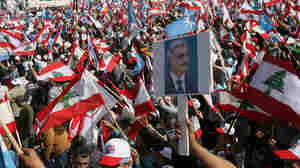 But the campaign has been dominated by questions of whether Hosni Mubarak will run again next year, and whether anyone can break the ruling party's lock on power. November 22, 2010  Hosni Mubarak is Egypt's longest serving ruler since the mid-19th century. But not all Egyptians are happy that he may run for president again next year. After 29 years under Mubarak, many Egyptians are fed up with enduring poverty and police abuses. September 26, 2010  The trial of two Egyptian policemen accused of beating a man to death continues in Alexandria. Eyewitnesses at the trial say the officers slammed the victim's head into stone steps until he died, but police say they were only trying to dislodge a packet of drugs from his throat. The case has received international attention, and some hope the trial will bring an end to the claimed culture of police brutality in the country. September 26, 2010  Two Egyptian policemen are back on trial in Alexandria for the beating death of Khaled Said at an Internet parlor on June 6. Two plainclothes policemen dragged the 28-year-old man away after he refused to show them his identification, according to witnesses who say that the officers then repeatedly slammed Said's head into nearby stone steps until he was dead. 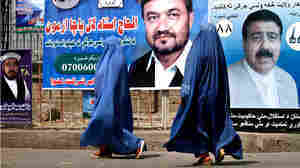 September 17, 2010  Afghanistan elects a new parliament on Saturday. But the credibility of the election is at risk. As the war between the Taliban and U.S.-led coalition continues and predictions of widespread election fraud grow, many voters say they may stay home. 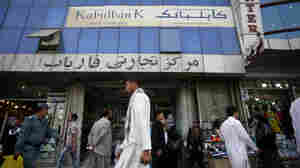 September 16, 2010  Alleged corruption involving a private bank in Afghanistan reportedly benefited President Hamid Karzai's relative. The government has responded quickly to probe the bank's troubles. 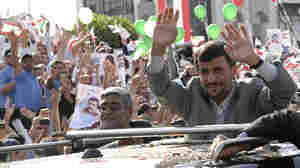 But some analysts say the reaction is more about politics than finding ways to eliminate corruption.